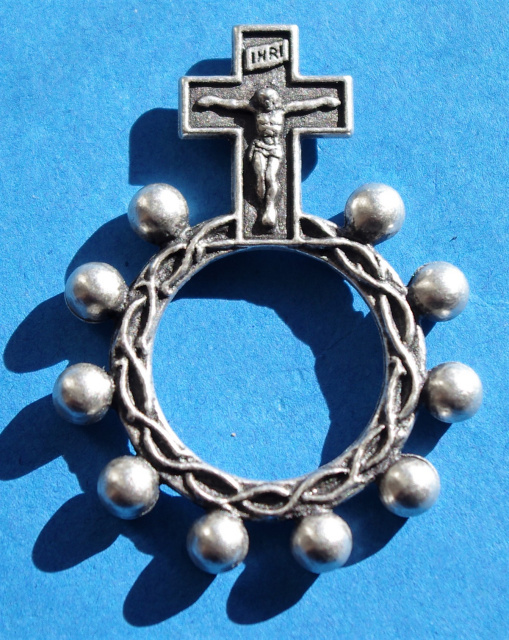 This metal rosary ring is approximately 1 3/4" in length. Great to keep in your pocket or purse. Easy way to pray when traveling light.